Atelosteogenesis type II is a disorder of cartilage and bone development in infants. Those with the disorder are usually stillborn. The disorder is extremely rare and is caused by mutations in the SLC26A2 gene. It is often confused with diastrophic dysplasia owing to similar symptoms. Atelosteogenesis type II is an extremely rare disorder of cartilage and bone development in infants. Those with the disorder are usually stillborn. 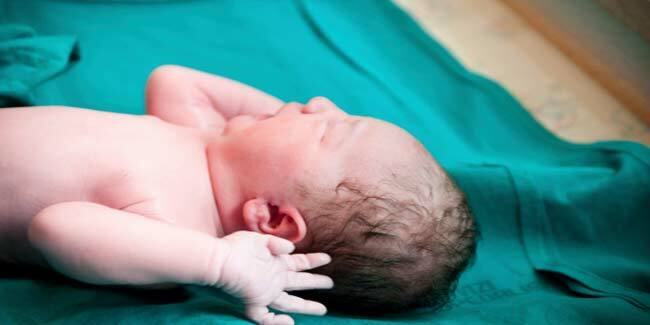 Those who survive birth may have respiratory failure and succumb to death. Children born with the disorder have short limbs, a narrow chest and a prominent, rounded abdomen. An opening in the roof of the mouth (a cleft palate), distinctive facial features, an inward- and downward-turning foot (a clubfoot) and unusually positioned thumbs (hitchhiker thumbs) are some of the other characteristics of the disorder. Sometimes the disorder is confused with skeletal disorder called diastrophic dysplasia as the symptoms of the two are similar. The signs and symptoms of atelosteogenesis type 2 are severe in comparison to diastrophic dysplasia. How common is Atelosteogenesis type II disorder? Atelosteogenesis is a rare disorder caused by mutations in the SLC26A2 gene. This gene is crucial for the normal development of cartilage and for its conversion to bones, otherwise the mutations in the SLC26A2 gene can disrupt the structure of developing cartilage, preventing bones from forming properly and resulting in the skeletal problems characteristic of atelosteogenesis, type 2. It is an autosomal recessive disorder, and the defective gene is located on an autosome. One from each parent is inherited by a child to be born with the disorder. However, the parents with an autosomal recessive disorder are not affected by the disorder, but it is only the carriers who get one copy of the altered gene. What are the related genes of Atelosteogenesis type 2?